When a mom is in the public eye constantly, her parenting skills often can be critiqued, then criticized and torn apart. 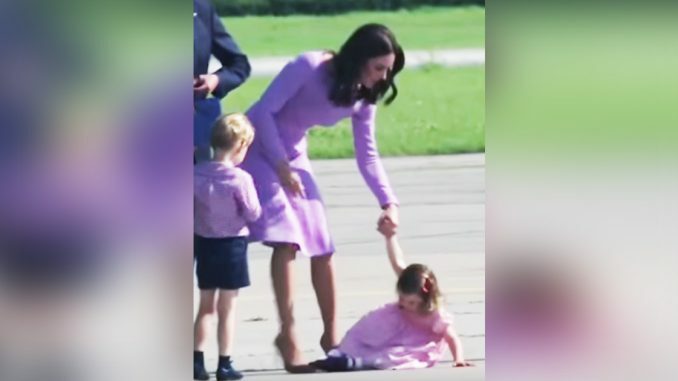 But many moms are applauding young mom Kate Middleton, Duchess of Cambridge, for her swift response to sweet Princess Charlotte’s last tantrum on the tarmac. 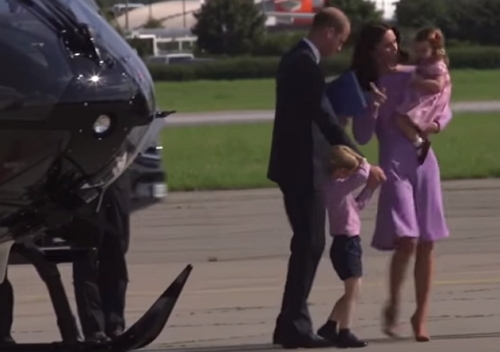 The royal family was visiting Germany and Poland for five days and were touring the Airbus training facilities at the Hamburg airport before leaving. They were checking out a helicopter when it happened. It’s that mommy moment where you have mere seconds to diffuse the toddler tantrum before she explodes into full on meltdown mode. To be honest, the average adult might have thrown herself down on the airport runway if she had to tour one more thing before boarding a nice, quiet, cozy, private jet, too. 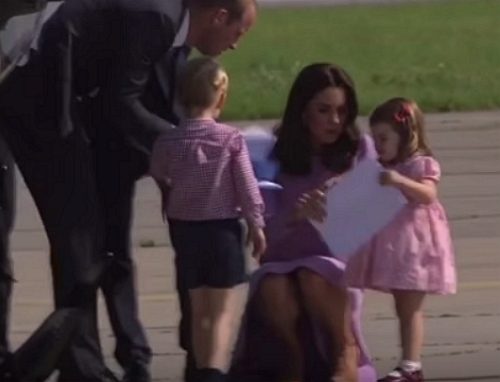 To help distract Princess Charlotte, who was growing restless by the minute, her daddy Prince William gave her a few papers to hold on to from his folder. When Kate tried to hand them back to Prince William, the toddler lost it. At that moment, Princess Charlotte throws one epic tantrum for the cameras. As the papers are pried from the tiny angry person’s fingers, she begins furiously stomping her feet, very close to having a screaming fit. But Kate crouches down wearing a slim fitting dress and high heels nonetheless and points off in the distance, possibly to their awaiting plane or the cameras that are capturing the poor princess who has lost all patience with the world. Watch what happens and how Kate reacts, which has moms everywhere cheering.